Montessori Teachers/Teaching Assistants – Cambridgeshire & Hertfordshire We have vacancies for an experienced Montessori Teacher, primarily to teach pre-school children aged 3+. Applicants must be well versed in the Montessori philosophy and have sound knowledge of the EYFS. Must also be prepared to train and work with non-Montessori staff, to ensure our nurseries embrace Montessori practice throughout. The successful applicant will also be expected to undertake further training required to ensure full delivery of EYFS, within the Montessori structure. We are also seeking assistant nursery staff, ideally with Montessori experience, or general childcare and/or preschool, interested in training in the Montessori approach to pre-school education. To enquire about any of the above postions please contact recruitment@sunhilldaycare.com or telephone 01763 247474 or any of the managers listed in your area. Nursery Nurse H eadstart Limited is looking for caring and highly motivated qualified Nursery Nurse to join our team to enable every child to achieve their full potential. Job Type: Full-time . C hildren aged 0-5 years old. Requirements: Qualification: NVQ level 2 and Level 3 practitioners, CACHE Childcare qualification. 1 year plus experience of working in a nursery setting. A Good understanding of the importance of safeguarding and promoting the welfare of children. Sound knowledge of Early Years Foundation Stage . Ability to communicate effectively . Responsibilities: Our n ursery hours are from 7:00am to 7:00pm (52 weeks of the year). To keep completely confidential any information regarding the children, their families or other staff . To be aware of and adhere to all the setting’s operational policies and procedures, e.g. health and safety, fire precautions, dropping off and collection of children, food safety, cleanliness of the setting. Plan an environment and learning experiences which promote the principals set out in the EYFS . To ensure that children are kept safe and that you understand when to follow child protection procedures. To advise the Manager of any concerns e.g. health and well-being of children, parents or the safety of equipment, preserving confidentiality as necessary. To take action to support the setting to achieve and maintain a minimum good Ofsted rating at the next inspection. To act as a key person to a small group of children, liaising closely and building an effective relationship with parents/carers and ensuring each child’s needs are recognised and met. Benefits : Opportunity to continuous professional development. Competitive Salary . Salary: To be negotiated upon experience and qualifications. A well known "OUTSTANDING" Montessori accredited nursery in Dulwich is looking for a full time Montessori Teacher to work all year round. The hours are as follows: 35 hours per week - Mon, Wed & Thur 9-3pm, Tues and Fri 9-6pm, all year (there is a possibility for more hours) Requirements: - Montessori Diploma - strong knowledge of the EYFS - nursery experience - strong knowledge of safeguarding and child protection - ability to work in a team Salary - annual salary will depend on the number of hours, but hourly rate will be from £9 to £11 per hour depending on experience. We are committed to safeguarding children and their families. A new enhanced DBS will be required prior to start, unless you have one on the update service. 2 references will also be requested prior to start. Dulwich Montessori Nursery School is looking for a qualified and enthusiastic Montessori Teacher to join our team of staff. The position is full time, Monday to Friday 9am-6pm, all year. Start date - ASAP (we are willing to wait for notice period for the right candidate) The right candidate will have: - Montessori Diploma (Montessori students considered) - strong knowledge of EYFS and Safeguarding procedures - ability to work as part of a friendly team - childcare experience - DBS check will be required (through our system) We are fully committed to safeguarding and promoting the welfare of children and expect all staff to share this commitment. A well known Montessori accredited nursery is looking for a full time Montessori Teacher to work all year round. The hours can be between 30 and 47.5, we are slightly flexible. 8am or 9am start time, 3.15pm or 6pm finish (or a mix of finishing times). 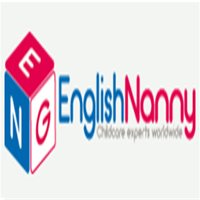 all year, NOT term time only Requirements: - Montessori Diploma (we will consider a Montessori student or a strong Level 3 qualified teacher willing to complete a Montessori professional development course) - strong knowledge of the EYFS - nursery experience - strong knowledge of safeguarding and child protection - ability to work in a team We are committed to safeguarding children and their families. A new enhanced DBS will be required prior to start, unless you have one on the update service. 2 references will also be requested prior to start.